Perhaps the element of the fishing equipment in which it insides plus a correct maintenance is the reel. Nowadays, thanks to the evolution of manufacturing materials we find sealed models in which maintenance is minimal. However, it will not hurt for us to be clear about the guidelines to follow in order to offer reliable performance on a continuous basis. Knowing perfectly how to perform a proper maintenance in addition to lengthen the life of the reel, will give us the necessary guarantee that, when the time comes, if we find the fish of our life the reel does not fail at a time of maximum demand. 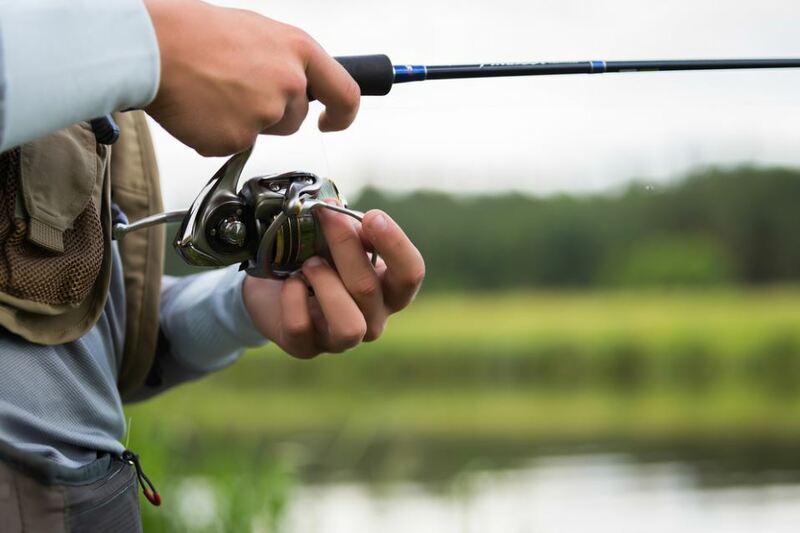 Of course, the care of the reel is not something that should be done only now “at the last minute,” we should follow some guidelines that we will explain to you every time we come back from fishing. We summarize below a series of useful daily maintenance tips that will help you keep your reel as the first day for much longer. If the reel falls into the water, dry it well before storing it. Saving a wet reel is almost like throwing it away. This is much more worrying in the event that the reel had fallen into salt water (which is undoubtedly much more corrosive). Therefore, we will always check that the reel is dry and we will do it, especially if we are going to keep it for a long period. To dry it, it is best to leave it outdoors, without the direct action of the sun or any other source of direct heat. In case the reel has some kind of mechanism to adjust the brake pressure, it will always be adjusted to the minimum pressure so that it does not stay forced for a long time. We must try not to disassemble the reel in a continuous way since we run the serious risk of wearing down the head of the screws, in which case the reel will not mount well and will be unusable. Of course, we will always use the correct tool. Always store the reel in a dry place, away from any source of humidity and also away from any source of direct heat (and especially from the direct action of the sun). The exterior cleaning should not pose any special complication. For that reason and taking into account that it is a process that will only take a few minutes, it is not enough that we do it after each fishing day in this way we will significantly lengthen the life of the reel. And it is that, whatever the material in which the reel is made, to “wash” it, we will only need abundant fresh water and a cloth that dries well. We will never use a cleaning product that is not specifically designed for cleaning fishing reels. The products that we usually use for the cleaning of the different surfaces of our house usually contain a solvent or abrasive substances that, without a doubt, will damage the reel (especially those that contain some piece of plastic). The neutral soap that we can usually use to wash our hands is usually the best option. Special attention should be given in case the reel has fallen into the water, in which case it is always advisable that we remove the reel and perform a cleaning something more thoroughly. In fact, taking into account how much the spool has been soiled, whether mud, sand or dust has entered it, etc. we must assess the performance of a lubrication of the same that we will explain below. In this connection, it is important to know that high-pressure water should never be applied to the reel. The reason is simple: this pressure can “push” any rest located outside (salt, sand, dust) into the interior of the reel, causing a problem of a complicated solution. In addition, the water will preferably be warm. The marine environment is a particularly demanding environment for any reel, even for those specifically designed for saltwater testing. Sand, silica and sea salts are powerful enemies of our fishing reel. In the specific case of fishing at sea, whether it is on board, from breakwater or especially on the beach, we must redouble our efforts to carry out a thorough exterior cleaning after each exit. A good habit with the finished day and in the same fishing scenario is to make the last haul as far as possible for later and interposing a rag or a disposable handkerchief moistened in freshwater or neutral vaseline before the entrance of the line in the coil. We will gently collect our thread, thus eliminating much of the salt water that the fishing line can retain. This healthy habit will eliminate to a great extent the salt deposited in the exposed area. Then we will “sweeten” the reel under warm water (since practically only water with a certain temperature is capable of dissolving the salt) to eliminate the remains of saltpeter or sand and then dry it in the open air outside the direct action of the sun. Every so often we must lubricate it externally in its moving parts because the lack of oil will accelerate the wear that is accentuated in a particularly corrosive environment such as the marine, especially if we are going to have the reels “stopped” for a long time. That the reel is properly greased and lubricated is essential for it to work properly. 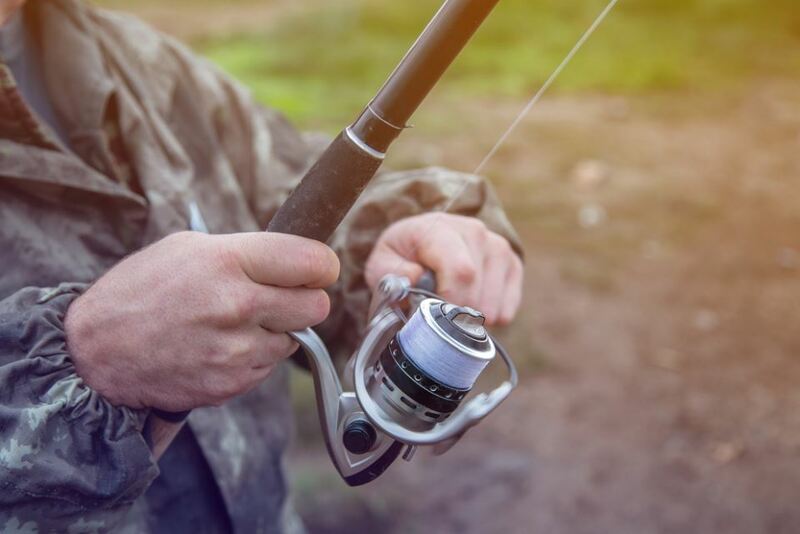 Lubricating a fishing reel is not a simple task; however it is recommended that it be done at least once a year, preferably at the beginning of each season. We will never disassemble the reel completely if we are not sure that we can reassemble it. We must be very clear about the points in which to put grease and which ones need oil. In the market we will find multiple options of both fats and oils, some models even specifically designed to lubricate fishing reels. An economical and very effective alternative is the grease for sewing machines that, in case of not having specific fat for fishing reels, can perform its function perfectly. If you have already tried some, you may already have your “preferred,” but you should bear in mind that, normally, each brand has its own lubricants so it will be a matter of trying which one you are comfortable with. Whatever fat we use, the most important thing is that we use it in very small quantities, since the excesses here are really counterproductive. It is very important that we follow a very strict disassembly order, which we will then carry out in reverse, in order to guarantee a correct assembly. So that there are no further doubts, it will not hurt that we take note of the steps we take. The first thing to dismantle is the spool housing, carefully removing the spool. Then come the crank that will be removed after removing the screws and nuts that hold it (it is normal for the manufacturer to provide us with a suitable key with which to do it). In this way, we remove the spring, the handle, and the brake. We remove the screws from the housing and see the inside of the gears, which we will first proceed to clean, removing the possible excess of the previous grease, and then grease them properly. It is not advisable to use oil: a single drop of oil in each bearing is more than enough. In case the specific reel has a disc brake, we should never grease the balata. To grease the shaft of the reel, we will extend the grease along the same, insert the coil and we will make a few turns in one direction and then others in the opposite. For the brake gears, we can use a brush of hard bristles like those used in oil painting. Once this is done, we will proceed to mount the reel again.